Ultra Lithium acquired a 100% interest in four mining claims (“minas”) named: 17 de Junio, Fenix, Betito, and Guayracocha covering approximately 3,000 hectares. Located within the “Lithium Triangle” of Argentina, Chile and Bolivia, a region with largest lithium resource on earth. Historical exploration indicates average 227 ppm lithium with low magnesium to lithium ratio. Potential for copper and base metals exploration. 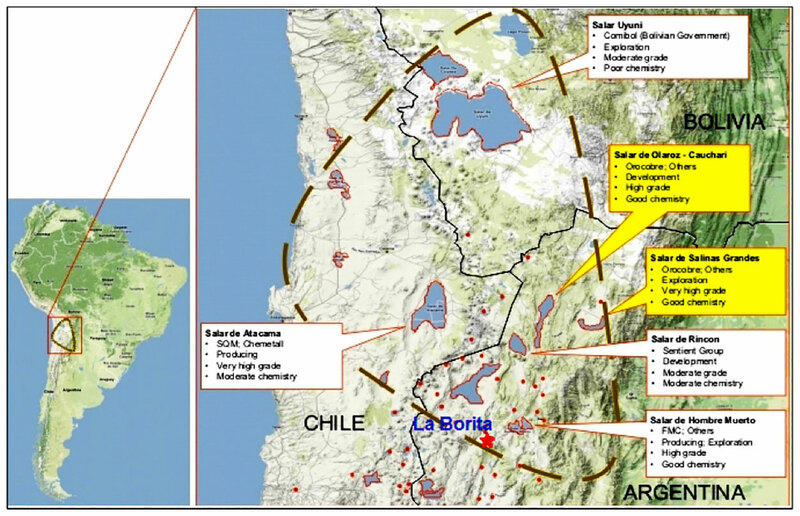 Located 15 km to the east of Salar de Antofalla, a lithium, potassium deposit historically explored by Rio Tinto and currently owned by Albemarle Corporation, a leading lithium producer in the world. 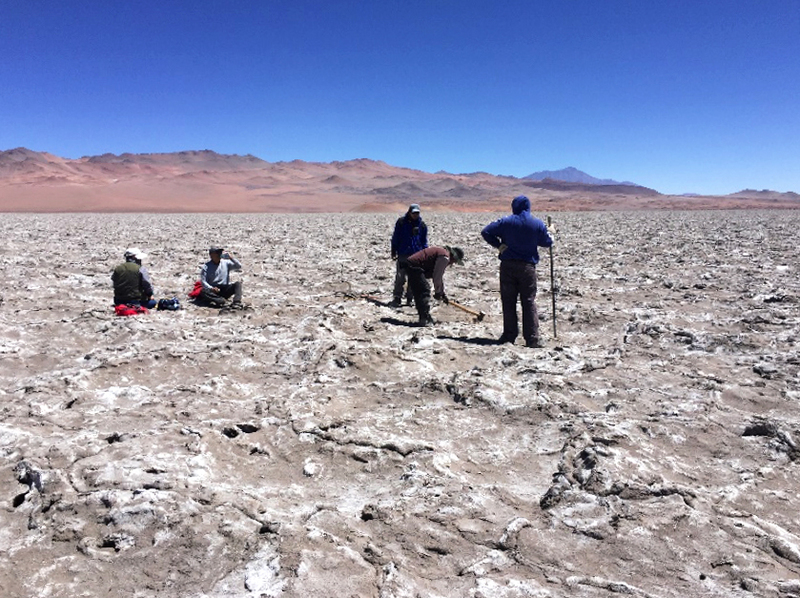 Salar del Hombre Muerto partly owned by FMC Lithium is located about 100 km to the northeast of the property. Good infra structure support, road accessible, and a port located 500 km to the west. Brine sample from Hole LB002 was 220 milligrams per liter (mg/L) lithium, 1140 mg/L magnesium, 423 mg/L boron and 1790 mg/L potassium. Brine sample from Hole LB004 returned 176 mg/L lithium, 4690 mg/L magnesium, 336 mg/L boron, and 579 mg/L potassium. 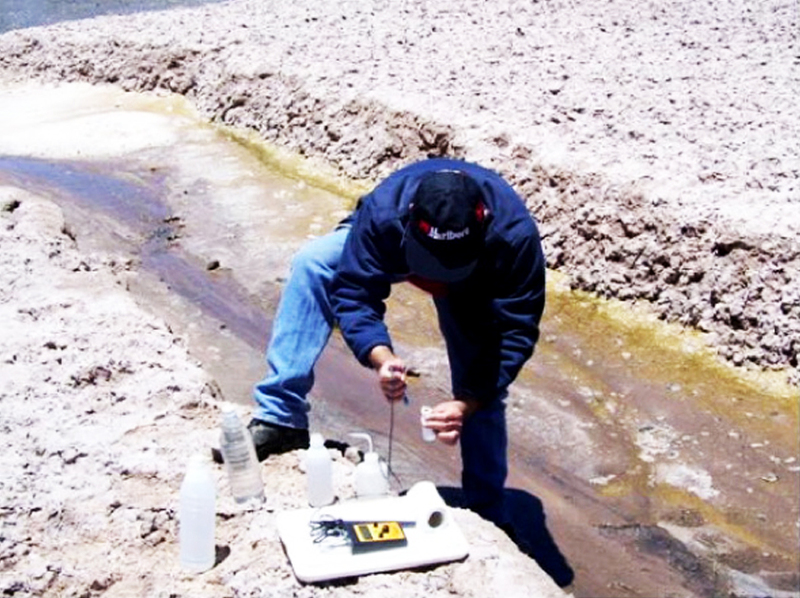 Shallow subsurface brine samples indicate anomalous lithium values in the range of 3.1 mg/L to 45.8 mg/L, magnesium 379 mg/L to 4690 mg/L, boron less than 14 mg/L to 210 mg/L. Indicating a deeper source of lithium concentration as samples from all deeper holes return significantly higher (3 to 4 times) values than the shallow subsurface samples. Initial evaluation by a process engineering firm indicating a very good potential for faster evaporation and concentration of lithium salts. Future exploratory work planned includes: ground geophysical surveys, pumping tests to determine aquifer capacity, and pilot scale evaporation ponds construction to produce lithium carbonate/brine concentrate. The property has potential historical resource of 1.7 million tons at 1-2 % copper based on exploratory drilling, sampling, geophysical surveying. Historical exploration data indicates the potential of the area to host lithium brine exploration targets with a favorable chemical profile especially a low magnesium to lithium ratio. The Property has been explored for base metals since the 1970s. Recent exploration work was carried out during 2010-13 by Minera Mariana Argentina S.A., a subsidiary of Mariana Resources Ltd., a Canadian mining company. A total of five holes were completed on the Property with cumulative drilling of 1785 meters during this period. Ultra Lithium has acquired historical brine samples assay results for the five holes. Historical assay results of surface water flowing from a well LBDDDH005 indicate average values of 227 ppm lithium, 2235 ppm potassium and 850 ppm magnesium. This hole was drilled down to 650 m below surface. The historically reported copper and base metals mineralization on the property is composed of: 1) Rusty copper minerals in travertine, with malachite, azurite, atazanite, freirinite and calcantite dissolving in water; and 2) Phosgenite (lead) veins. There are several reported old adits and trenches on the property, and 15 surface samples collected by Mariana indicated values of copper from 0.38 to 3.41% with anomalous values of lead, zinc and silver. Chemical analysis on samples was performed by Alex Stewart Laboratory in Mendoza, Argentina using industry standard trace inductively-coupled plasma (ICP) methods.